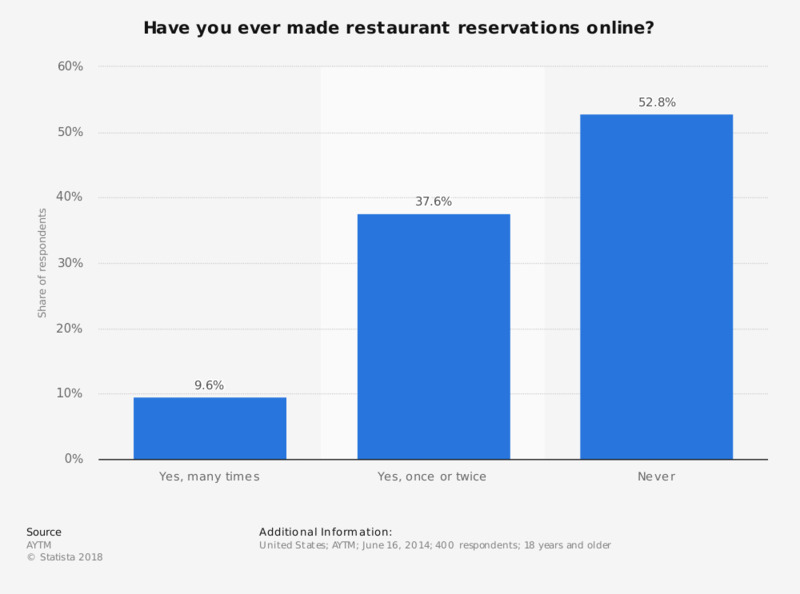 This statistic shows the frequency with which consumers made online reservations when dining out in restaurants in the United States as of June 2014. During the survey, 37.6 percent of respondents said they had made online reservations once or twice. Would you make reservations online more often if more restaurants or services offered the feature?